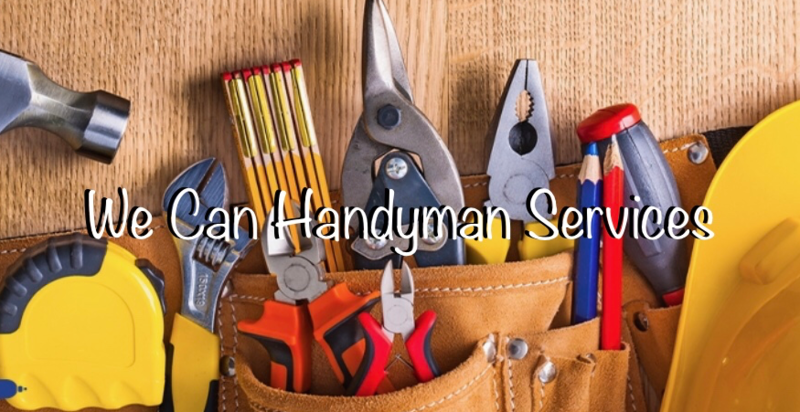 We Can Handyman Services – If we can't fix it, it ain't broke! A little about us…I have always been good with fixing things, building and working with my hands. It has always been something I have enjoyed. I still remember working along side my grandfather, watching and learning as he walked me through so many projects! I have really enjoyed helping others who may not know how to do certain tasks. That is how this company started. That list of incomplete jobs, unfinished tasks, or unpainted rooms, we can make that list significantly shorter. From painting to drywalling, ceiling fans, outlet switches, mocking, trim bathrooms and kitchen remodels, we are the place to call. Family owned business located in Anderson Township, OH. Our motto is ‘If we can’t fix it, it ain’t broke’! Please let us know how we can help you. 10% discount to military and senior citizens. Paul and his team installed a hot water heater for me, and not only did they do s great job in a short amount of time, but also at a great price. I had first called a well known plumbing company who quoted a price that was more than double what was charged by We Can Handyman Services. No kidding, that was a rip-off, but Paul charged a fair price and I respect that. Thanks! Thanks Mike for the kind words! We work really hard as a family owned business to offer affordable, honest, qualified work. We are here to serve our community to the best of our ability!